Haverford YMCA. iRadioPhilly is a proud supporter of the Haverford YMCA. And congratulations to the Haverford Y on being named "Best of Philly" by Philadelphia Magazine. 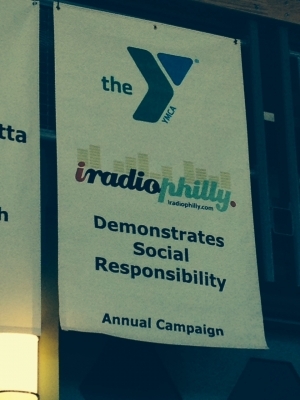 iRadioPhilly is proud to contribute to the YMCA's annual campaign and help promote social responsibility. As Philadelphia Magazine writes in their assessment of the Haverford Area YMCA, "This isn’t your grandma’s YMCA." In it’s annual Best of Philly Awards in the Health and Fitness area, Best Gym was awarded to the Haverford YMCA. Earlier this year, iRadioPhilly showed our endorsement of their fine work by supporting the Haverford YMCA annual campaign. A banner with the iRadioPhilly logo is prominently displayed in the main lobby area.